In the new 11 speed Shimano XTR series, a new type of front derailleur (FD) was introduced. This is the side swing FD that is different from all FD before this. Previously, FD design was either by top swing or down swing type, depending on the frame design. For a comprehensive list of FD types and mountings, check out this excellent article by Bike Radar. With this new Side Swing technology, the FD swings sideways during activation, and it has some advantages over traditional top swing or down swing types of FD. More efficient cable routing refers to the path that the inner cable and outer casing takes when running from the front shifter to the FD. By taking a shorter or straighter path, it reduces the friction loss at bending areas. It is said to be 15% more efficient when used together with the new polymer coated inner cable. One big reason a side swing FD was created is to provide more tire clearance, especially for bikes that have a larger wheel (Eg. 29" bikes), a special rear suspension frame design, and yet need a shorter chain stay to maintain agility. Previously, the limiting factor was that the tire would touch the FD mechanism. The workaround was to have longer chain stays or do away with the FD totally with a front single setup. With this side swing FD, tire clearance is improved, allowing bike frame designers to incorporate an FD without compromising on other frame geometry. As for the claim of more powerful outward shifting, it comes from the new design, where the link axle of the chain guide is closer to the chain touching point. This gives more leverage and provides a more direct force to push the chain onto the larger chainring. Lastly, the side swing FD is designed to be mounted in 4 different ways, in order to fit all sorts of frames. This means that there is a suitable FD to use regardless of what frame design you use. After learning about the side swing FD, I was interested to know how well it will actually work, and whether it is actually better than the current FD that I am using. Since side swing is now only available for MTB FD, the only bike that I can install a side swing FD on is my Polygon Cozmic CX 3.0 MTB. 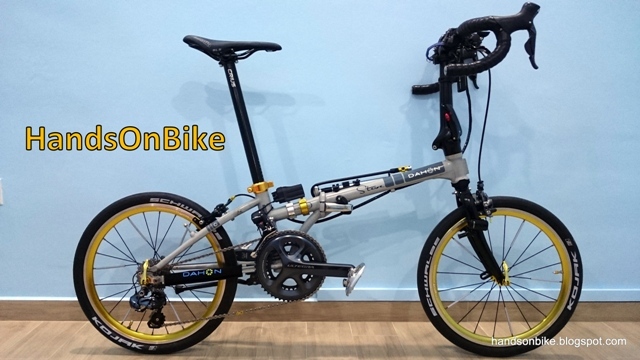 For now, side swing is only advertised as for 11 speed MTB drivetrains, on XTR M9000 and Deore XT M8000. However, I found that 10 speed versions have also been quietly introduced. The SLX grade FD-M672 and Deore grade FD-M612 are 10 speed compatible side swing FD. I decided to get the low clamp type of SLX FD-M672 to replace the current FD on my MTB. Stopper for inner cable. A plastic end cap is required at the end of the shifter outer casing. Axles and guide spring for the FD are located vertically due to the side swing construction. This FD does come supplied with M sized (left side) and S sized (right side) for diameter 31.8mm and diameter 28.6mm seat tubes respectively. Before installing the new side swing FD, let's take a look at how the cable routing and the FD looks when using the old top swing FD. The stock Deore FD-M590-10 is activated from a top pull position, with the shifter inner cable coming in from the top as shown. The inner cable runs along the bottom of the top tube and behind the seat tube, down to the FD. Since the FD mechanism is located behind the seat tube, it reduces the clearance to the tire. In this case there is still plenty of clearance though due to the hard tail frame design. Installing the new FD is straightforward. Since my seat tube is 34.9mm in diameter, I don't need to use any adapters. Just clamp it on and adjust the FD vertical setting and parallelism setting. The only new part is the routing of the shifter inner cable. All adjustments are done the same way as traditional top swing or down swing FD. Side swing FD mounted! Inner cable has also been clamped on. Plenty of tire clearance, since only the FD clamp band is between the tire and the seat tube. The front shifter cable will run along the bottom of the downtube, together with the cable for the RD and also the hydraulic hose for the rear brake. From there, it will join smoothly to the side swing FD. Although this frame does not have any dedicated cable mount for side swing FD cable routing, it is easy to convert it for side swing FD use. The original FD cable routing is now left empty. I was surprised at how easy it was to do the cable routing for the side swing FD, even though the frame does not have any dedicated cable mount for side swing FD routing. Also, the end result gives a rather clean routing of the cables which is nice to see. As for shifting force, I measured the shifting force required at the left shifter before and after the change. The difference is between the old top swing Deore FD and the new side swing FD. There is a 10% decrease in shifting force when I changed to the side swing FD. This amount is not that significant as a 10% difference in shifting force is not that obvious. However, any decrease is always good as it means easier and lighter shifting. Finally, for shifting performance, is it really 100% more powerful? Unfortunately, I am unable to confirm this as the original Deore FD already works very well, and so I cannot detect any improvement in performance when it is already near perfect. Perhaps there will be an improvement when I try to make an outward shift during high pedaling torque, but it is difficult to test it objectively, unless it is a controlled test using a standard testing machine. In any case, this is a nice upgrade as I get a lighter front shifting force, as well as the chance to try the side swing FD. If you are having problems with tire clearance with your current FD, you might be able to solve it by changing to a side swing FD! I want to install XT Top Swing FD-M8025, but it only support down pull. My frame has cable routing for top pull front derailleur. I like Top Swing design as it looks cleaner. So can I use XT FD-M785 Top Swing FD for replacement, as it still support dual pull. What components are currently on your bike? The FD-M8025 is for 11 speed, while FD-M785 is for 10 speed. Yes, I know... I bought XT M8000 Groupset and came with Top Swing, Down Pull only FD-M8025 which is not compatible with my frame. If you want top swing design, it only comes in low clamp, down pull only, or E type, down pull. Since you frame is only for top pull, your choice is to get the high clamp, dual pull, down swing type. Else go for a side swing FD as I did. Hi! 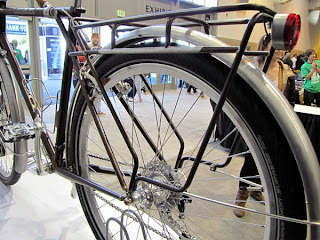 This is interesting because I could really use more space for my mudguards in my 29er. I'm already thinking about ordering a Deore low clamp version but it says on the website that "chain stay angle: 66-69 degrees". My bike has 73,6 so could you please tell me if you could see a reason behind this limitation or do you think I could still make it work? Which fd are you looking at? Is your frame a road bike or touring frame? I'm thinking about buying Deore FD-M612-L Side Swing 3x10 Low Clamp. I have a 29er, Radon Team 29 7.0 (2014) to be exact. It now has Deore FD-M610 3x10 Top Swing. The seat tube angle is rather unusual for a MTB. But the Side Swing FD will work as it can cover a large variance in seat tube angle. Yeah, I managed to find out more specs for my current derailleur from Shimano web site and it's the same (66-69) for it also. So no problem there. I guess I'll start looking for a nice and clean way to reroute the cable. Maybe use Jagwire stick-on guides or something, I don't know yet. i have a 3x9 shimano deore system with a Soma double cross frame that accepts top clamp down swing, but I have very luttle tyre clearance. Shall this side swing help me? Is is compatible? What model for my 3x9 system? A Side Swing front derailleur will give more tire clearance. You can use this Alivio M4000 triple front derailleur.